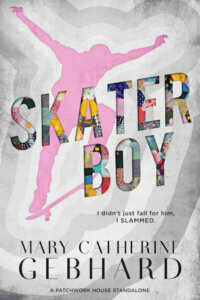 Today it is my pleasure to Welcome author Susan Carlisle to HJ! Hi Susan and welcome to HJ! 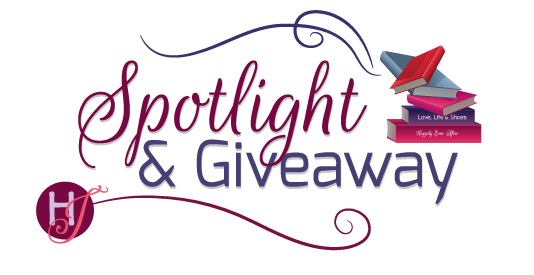 We’re so excited to chat with you about your new release, The Sheikh Doc’s Marriage Bargain! Hey everyone. Good to have you stop in. Laurel is a lab doctor whose interest is in finding a cure for diabetes. When Tariq, a sheikh and a member of a royal family and also the head of his country’s health department needs someone to head his new clinic he comes looking for Laurel. She doesn’t want to move to another country or leave the job she has. Tariq conveniences her to at least come see the state of the art center. She reluctantly agrees but she much agree to marry him because otherwise his country’s people will not respect her.The marriage will be in name only. She is shocked when she arrives to learn that she will be living in the palace. Laurel soon learns to love the country, the people and fears she has fallen for Tariq as well. All the sheikh hero’s I’ve ever read. The mule ride I did into the Grand Canyon. One of the ambassadors from a middle eastern country to the United Nations. I don’t agree with his politics at all but he sure is good looking! All the unsung heroes who do medical lab work and make discoveries that save peoples lives. My characters always surprise me. I think they will speak and act one way and then they do the opposite. It makes it exciting to write their stories. In this one I found that Laurel wasn’t as meek and mild as I first thought she was. She was more closed off by choice than by nature. When she came out of hiding she turned out to be strong and could handle what life sent her way. As for Tariq, I wanted him to be all tough and sure of himself. Instead he was soft and loving. All his decisions were made to help someone else, never about himself. I ended up liking both of them very much. I think I enjoyed writing the scene where they were traveling into the mountains by horse the best. Tariq is such a natural horseman and Laurel is out of her element but remains confident. I liked describing the beauty of the area and how they saw each other in the scene. When they arrived at the remote village and looked down on the tents beside the steam was special. Also when they were greeted by the tribe. Both were real powerful moments. It is the one where the old woman is sick and they don’t know what is wrong with her. I had to think through each one of laurel and Tariq’s moves carefully so that I didn’t make any mistakes. Opening a wound and caring for it in primitive conditions takes special skill and a lot of detail for my to describe. I think this book really showcases my writing. I enjoyed writing this one. I am very happy with the end product. I happen to think it’s my best to date. I do love a good sheikh story. I have just started my 25th book for Harlequin. It is about a paramedic and a firefighter. They are both hurting and looking for that certain someone who makes them feel whole. I really like the characters. 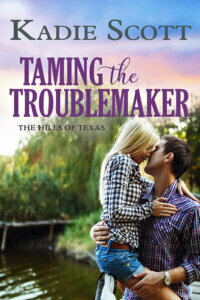 This book takes place in Austin, Texas so I have plenty of material and atmosphere to work with. 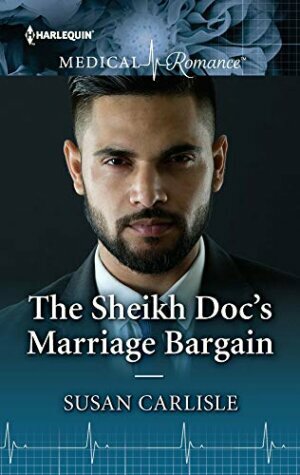 Giveaway: I’m giving away a print copy of The Sheikh Doc’s Marriage Bargain to one lucky person who comments. To enter Giveaway: Please complete the Rafflecopter form and Post a comment to this Q: Have you ever thought you’d like to be swept away by a sheikh? Soon the plane was rolling slowly and smoothly to a stop. She was safe on the ground. Tariq removed his hand. She watched him nonchalantly release his seat belt and stand. Without a word he walked toward the back of the plane. Through the window Laurel observed the sheets of heat floating off the tarmac and between those the low tan building that was the airport terminal. It looked simple, yet modern. A flag flew above it that held the same coat of arms adorning the seats of the plane. Beyond the airport were buildings after buildings. None were over two stories high. In the distance stood the sprawling gleaming pearl – the palace. The place she would call home, at least temporarily. The scooch of air when the steward opened the door brought her back to the present. She hurriedly unlocked her seatbelt. Tariq reappeared. He’d placed a white turban with gold braid upon his head that flowed around his shoulders. Laurel stared. As striking as he was in western wear, this desert prince attire made him more appealing. Why did he feel he must explain his choice of clothing to her? In the last few days he hadn’t seemed to give any notice to her feelings or concerns. When did what she thought of him start to matter? “I understand. I just didn’t expect…” She shut her mouth and waved at him in frustration. Laurel wasn’t about to tell Tariq she hadn’t planned on him taking her breath with his Arabian Knights good looks, charm and impressive life style. “Expect?” He watched her too keenly for comfort. “I get that.” For him this costume was like when she’d pulled on her lab coat to meet him. It was the uniform that specified a status. She was too aware of that. Getting married to him was at the top of the list. The whole idea made her middle fluttered like a flock of birds taking off. Laurel suddenly hated she’d eaten so much breakfast. Tariq’s hand remained on her elbow as they walked down the stairs that have been precisely stationed at the open cabin door. The prince greeted the group of people waiting at the bottom with a wave. Laurel had never dream the press would be interested in her. She was so out of her element. A couple of cameras flashed and she turned her head. The crowd gasped and camera’s flashed. Laruel had never identified more with Dorothy arriving in Oz than she did right now. What had she gotten herself into? Tariq escorted Laurel to the limousine waiting nearby. He’d had to nudge Laurel’s arm twice before she moved. Her body trembled. She was terrified. In hindsight he should have told her about the press. When he had seen how much she hated flying he had worried she would not get off once they landed if she knew the media would be there to greet them. Had he made a mistake by bringing her so far from home? Insisting that she marry him? One was stressful enough but both might be too much for Laurel. Never in his wildest imaginings had he believed a woman of her intelligence and reputation would be such a novice where the world was concerned. Yet, it was refreshing to see each new experience replace her fear with excited amazement. It made him see life in a different light. Pride swelled his chest at her reaction to her first sight of Zentar. Her appreciation of its beauty was the same as his each time he returned home. Sharing it with someone was nice. He never had before. With Laurel settled in the backseat of the car he instructed Nasser to take them to the cathedral. Normally he would be busy on his phone but Laurel enthralled him. He turned to her. Seeing her fascination with the city he loved had become more important than some email about an issue he needed to resolve. He shrugged. “It had to be announced sometime. Sooner rather than later was better.” He leaned back into the cushions of the seat enjoying the snap in her eyes. At least they were not panic filled as they had been earlier. Laurel resumed watching the scenery but the air around them now held tension. They said little the rest of the way. He anticipated her reaction to the onion-topped cathedral. The car pulled up in front of the arched doors. “I’ll get the door,” he said to Nasser as he stepped out and offered his hand to Laurel. She hesitated a moment, then placed her soft small shaking fingers in his. The inescapable comparison to their hand sizes had a peculiar effect on him. It was made all the more noteworthy by the lightness of her skin against his darker one. They were so different. “We can’t do that. It wouldn’t be right,” she hissed looking around as if she feared someone was listening. “Yes, but plans have been set in motion that cannot be changed. Come it will be over soon and then we will go to your lab.” He took and rubbed his thumb over the top of it. “I do but it can wait a few minutes.” If he was in her position he would like feeling so out of control either. “I am glad to hear it.” His hand moved to her waist and directed her toward the entrance. As they approached a priest opened the door and they entered the dim and refreshingly cold nave. “Dress?” Laurel looked down at herself. Tariq was not surprised. Her mind remained on one track, her work. As important as he believed it was, she still needed to step outside her glass box. It also pricked his ego some that she thought so little of their marriage she had no concern for what she wore. Did not all women wanted to look nice at their wedding? Even if it was make believe. Susan Carlisle’s love affair with books began when she made a bad grade in math in the sixth grade. Not allowed to watch TV until she brought the grade up, Susan filled her time with books. She turned her love of reading into a love of writing romance. 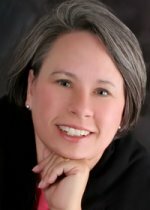 Susan has currently authored more than twenty-five books for the HarperCollins Harlequin medical imprint. Her heroes are strong, vibrant man and the woman that challenge them. I have not given it any thought, but sounds like a lot of trouble to me. Fun to read though. I am not sure I would want to be. It is very hot. Who wouldn’t want o be swept away by a sheikh. But, I have a feeling my husband wouldn’t let it happen. I’d like to be! Especially if he’s smart, kind, charming and handsome. Maybe back in the 70s I might have thought about it but not so much today. Many years ago when I was young and traveling, it did cross my mind. I met many nice people from the Middle East when I was in college and since. Sadly none were sheiks. Never! Lol! I think of them as way to alpha. If he was my soul mate, YES! The thought has never crossed m y mind. it all sounds awfully sandy to me!